"Before she goes, she removes her wedding ring, and places it delicately on the hood of the car, without a word." Does a fruit taste its sweetest when it is forbidden? Is that which is prohibited always the most pleasurable? 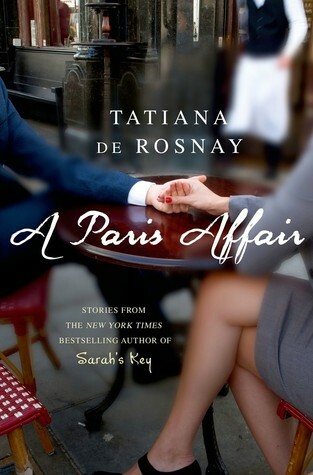 In this passionate and perceptive collection, Tatiana de Rosnay paints a portrait of the most forbidden of loves, in many different shades—sometimes tragic, sometimes humorous, sometimes heartfelt, always with a dry wit and an unflinching authenticity. This collection of tales was short and intriguing- following Tatiana De Rosnay’s series of secrets behind affairs was unique and this was partially because you could read them so quickly. It was like having a bucket of ice water thrown on love. Somehow though, you were fascinated by how each affair came about and you were intrigued by the sometimes callous look at how the one having the affair felt little to no guilt about the effect on their partner and family. Sometimes though, the guilt was palpable. I finished reading it and wondered if it was true, that most partnerships endure an affair? That the reality is the statistic? That it is likely to happen to most of the people I know? I find short story collections tricky to review because there’s not enough length to be critically thinking about character or plot development. I can really only comment on the subject matter and the writing. The subject matter was obviously thought provoking and the writing was perfect but I didn’t come away with any one story or character sticking with me. I enjoyed reading the collection at the time but nothing stayed with me which was a bit disappointing as Sarah’s Key is one of the books I will never forget reading. I suppose I was expecting a bit more from Tatiana de Rosnay- something a bit more memorable perhaps? It’s impossible to compare a full length novel with short stories though so I shall leave my thoughts right here.